How long have you been playing sledge hockey? And what made you decide to start playing? I’ve been playing for 30 years and started when I was 4. My dad played the year before that and since I was too small to move the heavy sleds at the time, I had to wait. Have you played other competitive sports? If so which ones? I did track for about ten years and I played wheelchair basketball for 17 years. My favorite sports team is the Vancouver Canucks and my favorite athlete is Trevor Linden. Favorite travel moment would be flying to Buffalo, NY to play for the Canadian National Development team. If you were trapped on a deserted island, which actor/musician would you want with you? If I was trapped on a deserted island, I would want to be trapped with Will Smith. I love his movies and music. In my spare time I watch a lot of TV and movies. Caring, nice and fun would describe me. I’m always worried about other people and when it comes to sports, I always make sure others are enjoying themselves. The last movie I saw was called Runner Runner and it had Justin Timberlake and Ben Afleck in it. I enjoyed it very much. 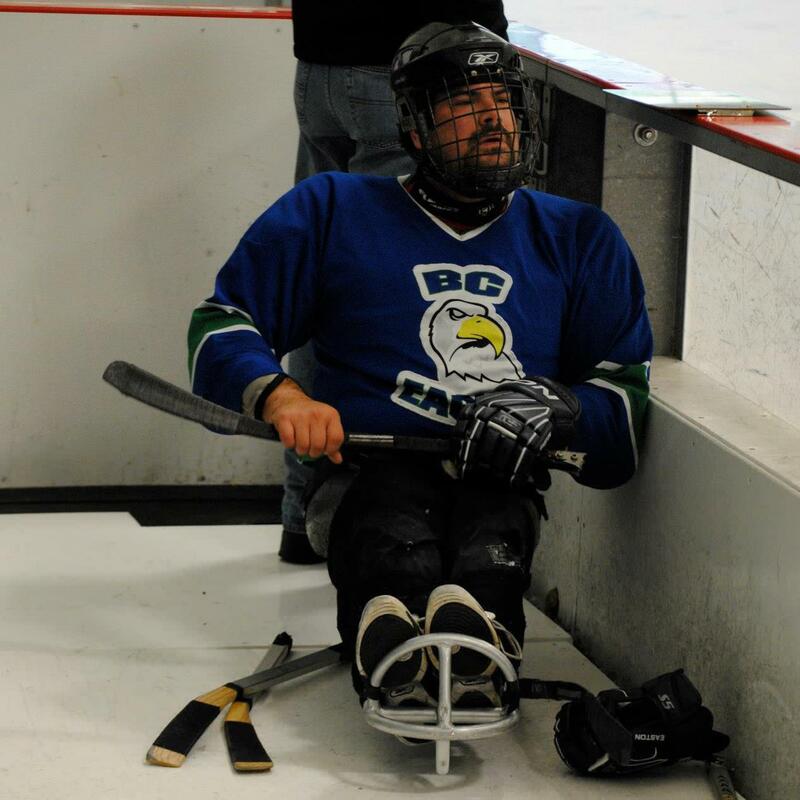 This entry was posted in Athlete Profile Friday, News & Announcements, Sledge Hockey. Bookmark the permalink.